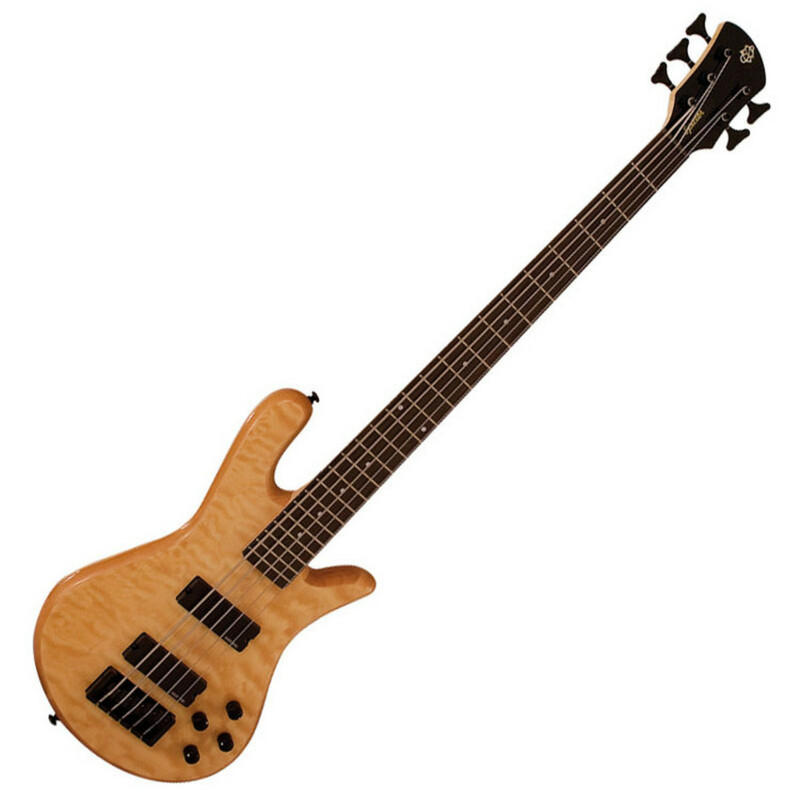 The Spector Bass Legend 5 Classic Bass, Natural provides players with a powerful 5-string bass, iconic NS body-style, and a captivating figured maple top, creating a truly stunning aesthetic and extended tonal range. The maple body is coupled with a smooth playing maple neck and rosewood fingerboard, offering players a comfortable playing feel and beautifully bright tones. A set of custom SSD INC humbuckers are designed to bring out every nuance of your performance, built with ceramic magnets and steel pole pieces to produce warm characteristics with plenty of output. Finishing touches include Spector's TonePump preamp for excellent tone shaping, and their locking die-cast bridge to enhance string stability and sustain.